As a school, we support a number of charities, Some are supported annually and others are chosen by our school council as a focus for the year. We provide opportunities for children to develop their understanding of charity and social action. Our school council is elected whole school with nominations from years 3,4 and 5 ready for elections in May (to coincide with the local elections). Candidates give a speech at the whole school hustings. The voting slip has photos as well as names to enable everyone in school to use their vote effectively and inclusively. 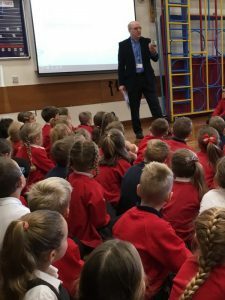 Children are elected by the whole school. Our school council then have the summer term working alongside the outgoing school council for an effective handover. Our Head Boy and Head Girl lead the school council. We are always conscious of balance in our requests to parents and as Elliot, our Head Boy, explained in a recent meeting. We have to ensure expectations are manageable as people who have less may already be giving proportionately more than others and we don not want pressure on them to be unreasonable. A current day understanding of the Widow's offering. 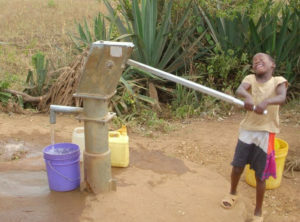 For our Harvest appeal, our School Council chose to support our link Diocese in Mara with their appeal for fresh, clean water. for the second year running. Last year we put pennies in a water bottle when we used water. This year we collected money in our buckets. Our school council led Collective Worship to introduce our theme for Harvest. Rev Danny came to school to lead our Service for Harvest. As part of our local community, we also hold an annual fund-raiser for the East Bierley preservation Society to raise money towards the Christmas Lights in the village. The Society have worked closely with school and for the last few years have chosen a design by one of the children in school to be created as a new light in the village. We hold our Christmas Fair on the same evening the Village Preservation Society turn on the Christmas Lights and hold their Christmas event. Many families attend both events on the first Tuesday in December. Every year we support the Marie Curie Daffodil Appeal in March. Children in school have asked to support this charity. 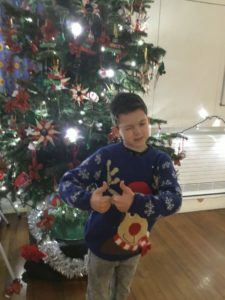 Every year we support the Christmas Jumper Day appeal with jumpers - both bought and created- being worn to school. Families were keen for us to continue the tradition of supporting this appeal. This year it is on Friday 14th December. This year, in memory of Mrs Grey, we have supported the Encephalitis Society. We will continue to support this charity moving forwards. We created a CD of our children singing and each class performing a poem in order to raise money for a bench to commemorate Mrs Grey. Any additional funds raised will be given to the Encephalitis Society. 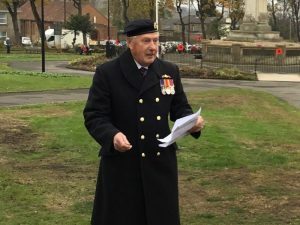 Every year we collect for the Royal Legion Poppy Appeal - collecting over £300 pounds again this year. 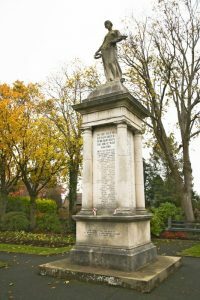 Our children related to this appeal and we commemorate it with our own Remembrance Service at the East Bierley War Memorial that is attended by the whole school. This is a moving service that has a real impact on our school community. 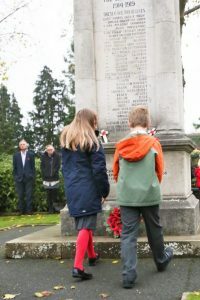 many of our children and their families also attend the community service on Remembrance Sunday. This starts at St. Paul's Church in Birkenshaw, processes together up to East Bierley and concludes at the War Memorial. 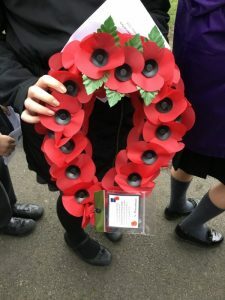 To commemorate the 100th Anniversary since Armistice Day, our School Council also attended the Service of Remembrance in Cleckheaton this year. Sometimes children or parents ask if we can support a particular charity and we have done so through bake sales (run both by children and by parents). We also support national charitable events including Red Nose Day and Comic Relief. Our school Council have asked if we can support a Homeless Charity this year, information about this will be shared shortly and we hope they will lead a whole school event in aid of this. We encourage families to support charities where possible and promote different ways of doing so. For example, the Children In Need Book Auction (Children In Read). We are always mindful how often we are asking parents for our support. They are always willing to help but we do try to limit and spread out the number of charities we plan to support throughout the year and inform them of these at the start of the school year.